Ripple Thoughts: How to make bagels softer? 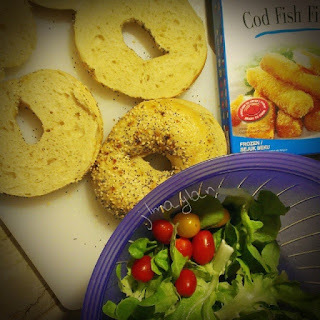 An easy breakfast to prepare for us, as well as Gab's school snack I always make. 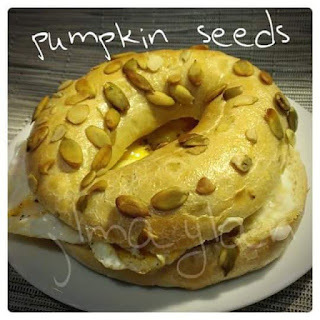 Pumpkin seeds bagel is my favourite! 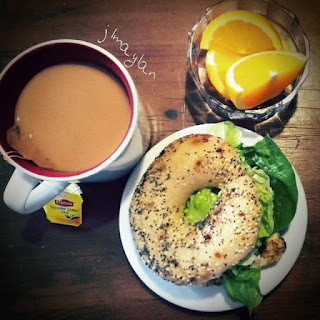 At most time, we ordered bagels from a restaurant, did you have this thought that you hoped the bagels are softer? 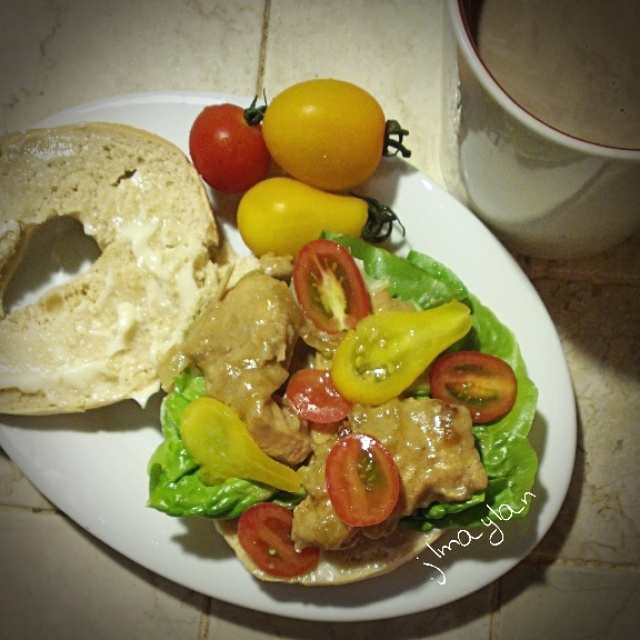 I had even one experience that my plain bagel was like a "chocolate" bagel, I was very curious that moment I saw it, I confirmed with the waiter that the bagel was just ordinary plain bagel, "oh my gosh!" That was what I shouted in my mind lah! Well I have a very kind and sharing personality, when I was making my payment, the cashier asked me courtesy how was my food, I was so glad he asked, immediately I told him the hardness and the outlook of the bagel shocked me, and also suggested him to spray water before toasting bagels. Here is the URL of an instagram video I took of the bagel I toasted at home, it is very soft, because sprayed lots of water, my son likes it soft though. 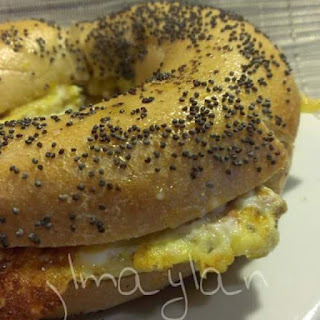 Hope this info helps many bagel lovers, as well as restaurants that sell bagels. Chicken filling that I cooked on a whim, surprisingly it tasted awesome, I really mean awesome, Gab loves it so much, and even wanted to reserve for dinner.